Authority content is any type of content that helps you establish yourself as an authority in your niche. It's likely that you work in your niche because you have demonstrated a certain level of proficiency in the basic tasks of the profession. If you are a legal eagle, for instance, you likely have a law degree (perhaps from a prestigious law school) in a specific legal discipline, and you've studied the law in that discipline until you know it backwards and forwards. Now you want to share that knowledge with others. It works the same in any niche. If you consider yourself an expert in cryptocurrencies, it's because you've invested, traded, and maybe even created a few. You understand the ins and outs of cryptoeconomics and blockchain enterprises. That knowledge doesn't just appear on your doorstep one day. You have to work for it. But there is a difference between being an authority and being perceived as an authority. A police officer who works behind a desk and is never exposed to the public will likely not be perceived as much of an authority. He may understand police work better than anyone. He may be able to wield his law enforcement authority with an iron fist, and he might know the laws he has been charged with enforcing more than anyone else on the force. However, if he doesn't get to put his skills and knowledge on display for those who could judge him properly, being the best police officer in the world is nothing more than a braggart's dream. To be an authority that no one is aware of is worse than not being seen as an authority at all. It's for this reason that content marketing is important. That's how you establish niche authority. 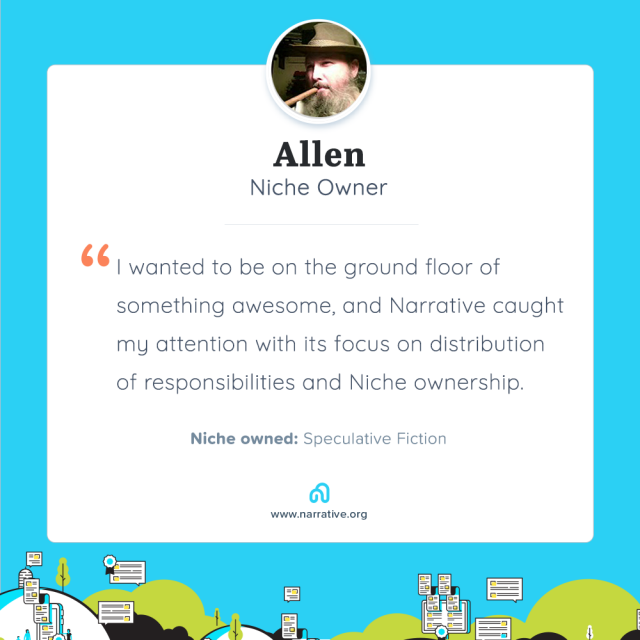 First, you've got to specialize in a niche - No one is an authority on everything. To possess a lot of random facts is not evidence of authority. A real authority is an expert in something specific. That requires many hours of study, practice, and demonstrated proficiency. You've got to demonstrate proficiency - How do you demonstrate a proficiency in building computers from scratch? How about in a body of knowledge such as the law, or blockchain programming? There are many types of skills where demonstrating proficiency is difficult without visual representations. Nevertheless, it is possible to demonstrate that proficiency online if you have the right tools. To be recognized as an authority, you've got to demonstrate a certain level of skill or proficiency in your profession. Knowledge. Plain and simple, if you want to be seen as an authority in any niche, you've got to prove that you are knowledgeable in the deeper aspects of that niche. Each one of these proofs of authority can be conveyed through a well-orchestrated content strategy that shows your audience who you are, what you can do, and how you can do it for their benefit. Content is the king of authority, but what kind of content? 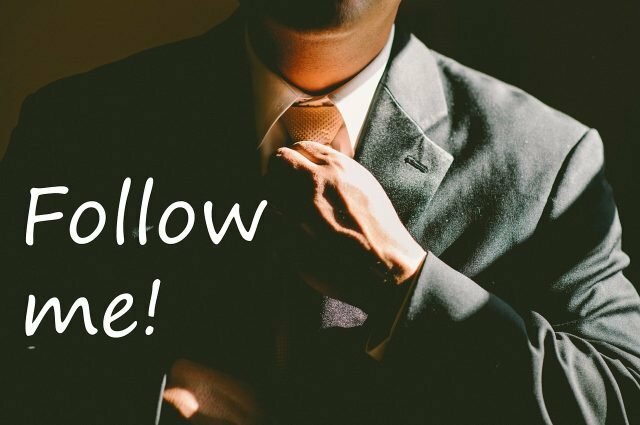 In my special report titled "14 Types of Authority Content," I share 14 different types of content that, if well executed, can show your audience that you are a specialist with deep knowledge and proficiency in your professional niche and that they can respect you and trust you because of that knowledge and proficiency. I don't want to make that sound easy. It's not. It requires hard work. But if you want others to recognize you as an authority, then you've got to prove you are an authority. The best way to do that online is with great content that places you above your competition in the eyes of your audience. In other words, online content consists of either words on a page, graphics, or sound (or a combination of these three elements). These three basic types of content make up almost every type of content you can create online (I say "almost" because who knows what some creative genius will come up with next week, next year, or a decade from now?). To give you a preview of what to expect in my free report on the types of authority content, I'm going to discuss three of those types of content briefly and demonstrate how they fall into the three most basic content categories. I promise, this is not re-purposed content from the report. This is all original content designed to show you how three types of content fit into the three basic content categories. One of the most popular forms of textual content online is blogging. If you understand anything about blogging, then you know it's most effective when it isn't strictly and entirely textual. Graphical elements can be added to a blog post to enhance it and make it more valuable for the reader. In fact, auditory content can be added, as well, which makes blogging such a powerful type of content for building authority. That must be why everyone is doing it. Well, not everyone is doing it, but most people trying to market themselves online are contributing to a blog in some way. There's one very simple reason why blogging is so popular: It has proven to be an effective and cost-efficient means of reaching a niche audience with a particular message in order to promote a product or service. There's just one problem: Most blogs are mediocre at best (some are just downright awful!). What you want to do is make your blog incredible. You want it to stand out from the rest, particularly from other blogs within your niche. Blog content, if well-written and full of valuable content, can show your audience that you are an authority that commands their respect. While your blog can contain visual content, and should, posting your visual content to your blog is not the only way to prove you are an authority. Some forms of visual content can stand on their own. Consider videos, for instance. Online videos have become some of the most effective content marketing pieces online. In fact, they increase ROI, engagement, and sales for brands that use them. The cool thing about videos is they are not only visual, but auditory. The best online videos incorporate moving images with sound to deliver a powerful message that closes sales, increases engagement, and turns time and money invested into profits. They also present your brand as a niche authority, which is a type of currency itself. One type of auditory content that has become very powerful, and popular, in recent years is podcasting. There are two very distinct ways to approach podcasting for building brand authority. First and foremost, host your own podcast on a subject about which you are knowledgeable. As a podcaster, you don't have to do all the work yourself. You can interview guests, invite co-hosts, and turn your knowledge into a valuable asset for you and your brand while engaging with your audience in ways that translate into a perception of authority. Secondly, you can use podcasting as a vehicle for your authority without owning the content. Podcasting has become so popular that you can make the circuit in almost any niche and present yourself as a guest worthy of interviewing on specific topics that are important to your audience. These two ways of using podcasting for authority building are not new, but they have become extremely popular in recent years, and I believe the practice of podcasting is only going to get better. Now that you have a little bit of understanding about authority content and some of the types of authority content that you can use to build your own reputation, how do you get started? First, download my FREE special report "14 Types of Authority Content" and read it from cover to cover. Secondly, figure out which types of authority content are best for presenting yourself as the authority you want to be perceived as. There is a difference between a content strategy designed to close sales and increase profits and a content strategy designed to present you as an authority. On the one hand, content can be used to drive traffic and get customers to buy your product or service. There's certainly something to be said for that. A strong call to action is a valuable tool in any content strategy. However, by positioning yourself as an authority in your niche, you can close sales and increase profits simply by people knowing your name. It's a different approach to content marketing and online business and one that should not be taken lightly. 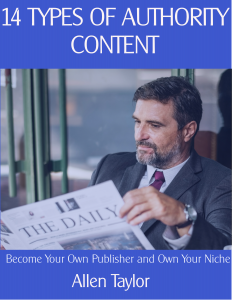 If you are interested in being recognized as an authority in your niche, download "14 types of Authority Content" today and contact me to get you started on building the content strategy that will take you there. These definitely are great ways for one to get better at getting their contents out there and making a voice for themselves. I really am not sure if I wanna be an authority of some sort but it sure does feel good for the audience to have some sort of trust in the content creator and what he/she puts out there. And these sure are great ways to do that. Thanks for sharing this, it sure is full of so many things one needs to learn. I will be sure to download the report and find sometime to read it. Loved how details you are whenever you shared the knowledge with your post @blockurator. That's how you build authority! This is a great way of marketing! I like your explanatory approach and the examples that you gave. I hope that many people will download your material. I do hope that you will be able to help people who really need it. Have a lovely day and thank you for sharing! Thank you for the wonderful comment. We need to get the blockchain companies and crypto firms in the space to adopt this kind of marketing. This is what will lead to mass adoption. Great tips. It would be nice if the various steem front ends provided a way to differentiate types of content without having separate accounts. I mean to allow us to have very different channels. I post on a number of topics. While I can use different tags, I would prefer to have my blog have different channels for each topic. Thus if a visitor visits my profile page, I could customize it to point to those different channels. Oh yes. That would be a great feature. I, too, write about different topics, and some of them are quite unrelated. The tags make a good way for searchers to find what they're looking for within a short timeframe, but categories (or channels, if you will) would create little silos for each topic and allow people interested in those topics but not the other topics I write about to follow just those topics. Great idea. Do you think posting solely on platforms such as Medium or Steemit and not having your own personal site/domain will affect your authority? Yes, it will affect it. But not in a good way. Ideally, you want your own platform. What happens if Steemit goes belly up? Or Medium? You may be given an opportunity to save your content, or you may not. Do you want to take that risk? There's nothing wrong with these platforms. I am very active on Steemit and also post on Medium, but I want people to see my posting on my blog. The cool thing about both of these platforms is they each have a WordPress plugin that allows you to cross-post your content. Steemit has SteemPress and Medium has something similar. You can post to your authority blog and automatically have all of your posts publish to Medium and Steemit. Doing that allows you to reach those audiences on Steemit and Medium that are not likely to see your own blog. So there is benefit in doing that. But you want your own blog to rank in the search engines for important keywords that people actually search for, and that goes a long way to building your authority. Wow thanks @blockurator for such a detailed answer! 😊 You really go the extra mile to help - and I'm ever grateful. Thanks. I do have one more thing to say about Medium. You can build an authority reputation on Medium through their Partner Program. I think this program was set up for people who want to earn money from their writing but don't want to manage a blog or domain name. It's perfect for people want to be writers and not publishers. Think of it as your own platform akin to having a New York Times column. This is really good advise for people looking to really stand out. Thanks. I hope it benefits you. The New 20k Delegation poll is out. It would be wonderful if you would support our @steemitbloggers community with your vote. You are good at marketing. Another one of my weaknesses. Good luck with this. Unfortunatelly, like most basic things, many people do not follow the basic steps that might consolidate them as authorities in any given field. I have seen tons of content creators who call themselves "experts" in latin american affairs, for instance, or interview "experts" for their videos and they just put on a sorry show. I think that some of the most important aspects in building a reputation (besides knowledge) are objectivity and reliability. Absolutely! It is a difficult thing to establish yourself as an authority for sure. Simply producing content is not enough. Thanks for weighing in. Great advice @blockurator. Definitely gives me some food for thought. I know it's time for a shift in how I view things. A little shift never hurts. Good luck, and feel free to download the free report mentioned in the post. There's a lot more solid information in that. That is amazing: not too long, with a great theme. I really like reading this and for posts like this, I understand why Steem Blockchain wants to save everything in the time.